GOVERNMENT will phase out the importation of second-hand vehicles from the market to allow the local motor industry to grow, as the cost of these vehicles is now chewing an average of $454,77 million in foreign currency a year. The phasing out of the second-hand vehicle imports is part of the Zimbabwe Motor Industry Development Policy (ZMIDP) covering this year to 2030 launched yesterday, as part of a strategy to support the local motor industry. Speaking at the launch in Harare, Industry, Commerce and Enterprise Development minister Mike Bimha said a gradual approach would be adopted to phase out these vehicles. "A gradual approach will be adopted to eliminate second-hand vehicle imports into the country through the use of fiscal measures. Under the same strategy, a pre-shipment inspection policy for second-hand vehicles will be adopted. The policy will be benchmarked with international best practices," he said. Bimha said the ZMIDP already had Cabinet approval and that it would soon be implemented once other necessary processes are done. In 2016, the cost of second-hand vehicles in terms of foreign currency was $240 311 411, according to the Zimbabwe National Statistics Agency (Zimstat). The cost of importing second-hand vehicles from 2006 to 2016 according to the Zimstat was $5 002 471 434 in foreign currency. In the ZMIDP report, the Central Vehicles Registry (CVR) reported that the first quarter of 2017 saw 14 470 second-hand vehicles imported into the country. In total, statistics from CVR found that since 2007 to the end of the first quarter of 2017 at least 510 275 second-hand vehicles have been imported into the country. "During the period 2000 to 2017, the country experienced economic challenges. This period also witnessed a shift in government policy that reduced import duty for Completely Built-Up units (CBU). The duties were reduced to a level where they no longer countered the heavy subsidies enjoyed by neighbouring countries," the ZMIDP reported. "This resulted in a shift from locally assembled vehicles to imported CBU vehicles and an influx of imports of second-hand vehicles at the expense of the local assemblers and local component manufacturers." 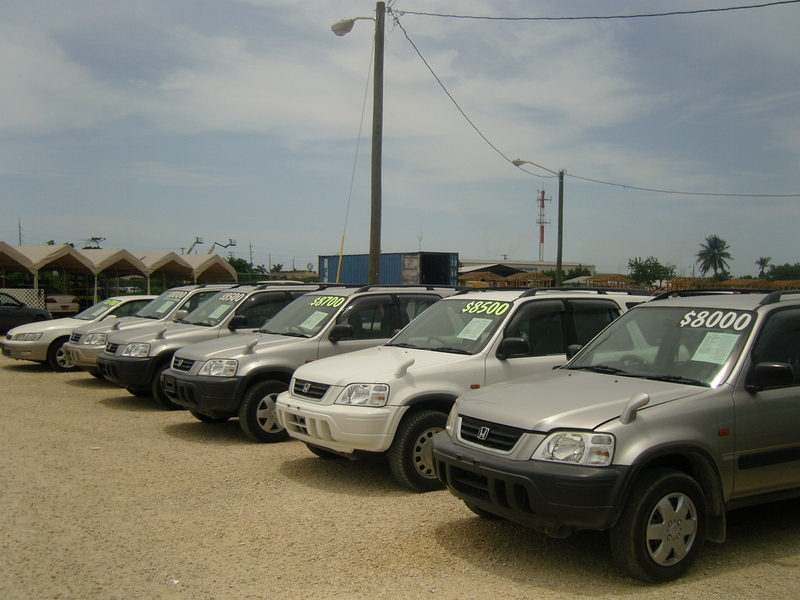 Of the over 1,4 million vehicle population, second-hand vehicles constitute between 35% and 50%. For years, local motor industry players have complained about second-hand vehicles hindering their business. Motorists have favoured second-hand vehicle imports due to the affordable prices which on average range between $3 000 to $7 000 in total to import into the country whereas new vehicles of the same make range from $10 000 to $20 000. In line with this, the ZMIDP will look at getting banks to offer credit terms to motorists in order to buy new vehicles locally. Zimbabwe's market for new vehicles has thus shrunken over the years from the highest levels of over 20 000 units per year in 1997 to less than 3 154 last year. The major objectives of the ZMIDP include encouraging both local and foreign direct investment in the local automotive assembly and components manufacturing from 0% to 10%, of total foreign direct investment by 2026, promoting local assembly and exports of motor vehicles and to look at exports into the region from 0% to 50% of total local production by 2026. It seeks to increase capacity utilisation of car assemblers from the current levels of less than 10% to 100% of installed capacity by 2026.